W4MII’s (Tony Metzler) – Satellite Antenna and Tip-Over Tower. On my very first try on May 25, 2017 at 12:34 UTC, I made a contact with WM3X located in Grid FM15qa via the SO-50 satellite on 2m FM. The satellite reached a max elevation of 51 degrees during its pass. 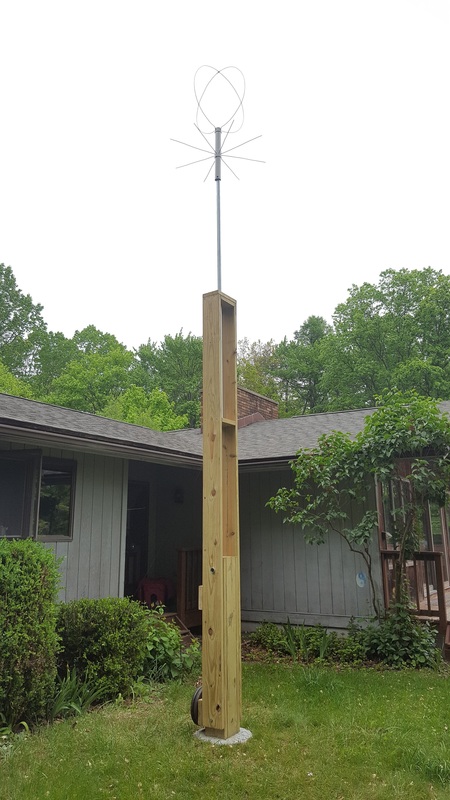 My first project was a Tip-Over Tower which had to be low-profile, able to take a rotator inside for use with a top thrust bearing (when I have some $$$), and cheap. As my property is at 1020′ (according to my GPS) and the YL has delicate sensibilities, I opted for something very simple that would clear my roof-line by only a few feet. Fully up it came in around $125 including hardware and cement. It uses barbell weights as a counter-balance so it is very easily managed without help. My second project was an omni-directional, circularly polarized, 2m ‘Eggbeater’ satellite antenna. 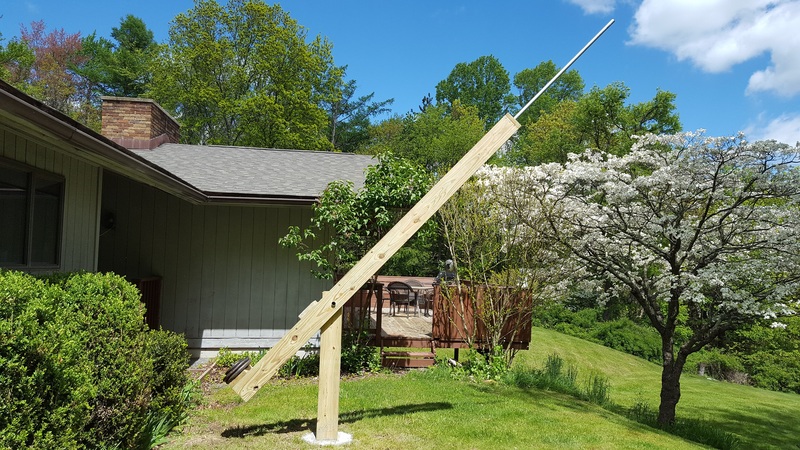 M2 Antennas makes these commercially and sells them for around $275. I already had nearly all of the materials as left-overs from home projects so the cost was minimal. Here is the link to the article I used as the basis for my project: Eggbeater Article. 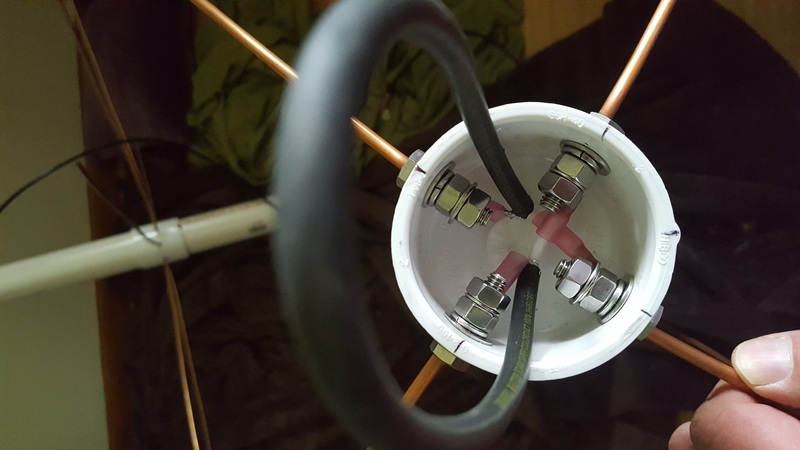 I couldn’t easily find the suggested RG62 – 93 ohm coax for the phasing line so I substituted RG6 – 75 ohm coax and recalculated the length using a Velocity Factor of .75 for foam core. I cannot say what my radiation pattern looks like but the SWR is below 1.18 across the band.